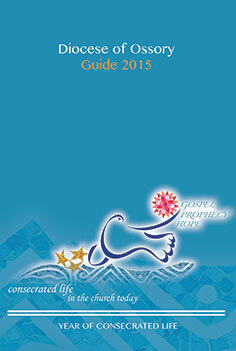 The new Ossory Guide 2015 gives contact details for personnel and a variety of services in the Diocese. The new Ossory Guide 2015 gives contact details for personnel and a variety of services in the Diocese. An extremely useful resource for names and numbers of parishes, groups, committees organisations and so much more in the diocese. Also available from your parish office or Adult Faith Development Office tel 056-7753624, email afd@ossory.ie.